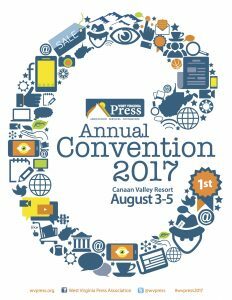 CANAAN VALLEY, W.Va. — The West Virginia Press Association Convention 2017 is Aug. 3-5 at Canaan Valley Resort in Tucker County. Funds raised at the silent auction — along with funds from other donations and revenue — help the WVPA Foundation support projects such as educational programming, internships and scholarships. “We hope someone at your newspaper – publisher, editor, ad director or circulation director – will volunteer to champion this great effort and get the items. We are asking each newspaper to contribute at least one item to the silent auction – any item is great and such items as gift baskets and regional golf and overnight stays are very popular. We realize convention is getting close but hope you can assist us in this venture. We hope you are personally bringing it to convention 2017 — are you registered? — but, if not, you can send it to the WVPA office or let us know, and we will have someone pick it up,” Smith said. In either case, please call the WVPA or email donsmith@wvpress.getboho.com and let us know what you will be bringing and the WVPA will promote it.